The crime statistics for London depend on which area you look at. The city is divided into many boroughs, and each has its own set of figures. However, let’s take an area of around one mile radius, focusing on Covent Garden, the Mall, the Strand and other major areas such as Holborn. This gives us a rough idea of what to expect in this central part of the city. In November 2016, 3,673 crimes were reported across this specific part of the city. This figure covers all kinds of crimes, from anti-social behaviour to drug-related crimes and public order offences to robbery. It’s worth noting you can find crime figures for a specific borough or smaller area of London depending on what you need to know. This is useful if you want to live or work somewhere but you’d like more information about its relative safety first. Which crimes tend to happen more frequently in London? In the area we targeted above, other theft (aside from theft of bicycles, cars, shoplifting and other types of theft given in the figures) accounted for 23.61% of all reported crimes. In second place was anti-social behaviour on 20.8%, and reflecting 8,598 reported incidents in this area. Theft in London is the most common crime. Theft from the person and violence and sexual offences were the next most commonly-reported examples of crime, but these were far less in number than the crimes mentioned above. Possession of weapons was the smallest-occurring crime, thankfully, amounting to just 240 crimes between December 2015 and November 2016, or just 0.58% of the total. It pays to be aware of your surroundings wherever you are. Staying alert can make all the difference to whether you are viewed as an easy target for crimes. Additionally, you should do all you can to protect your property if you live in London. Many thieves will avoid properties with CCTV and burglar alarms, for example. The same applies to business and commercial properties. The better-protected you are, the less likely it is you’ll be affected by such crimes. While burglaries accounted for just 4.11% of all the crimes reported in the area we looked at, they can still be devastating to those who are unlucky enough to be targeted. Make sure you are doing all you can to avoid being one of these statistics. Crime Statistics for London taken from Police.uk – per 1,000 of population. London, by virtue, has a high crime rate. 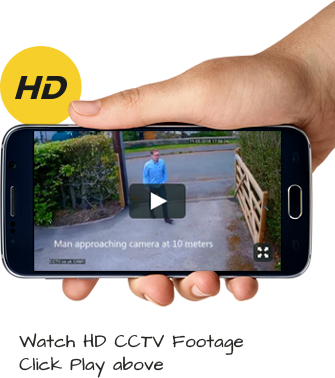 Many businesses and organisations use CCTV to monitor and protect their premises against theft and damage. 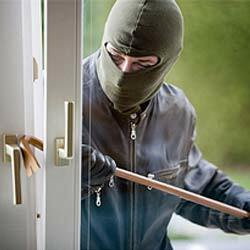 Not only does CCTV help deter instances of burglary and theft in London but security cameras also help in identifying vandals and do successfully help in the prosecution when correctly set up.